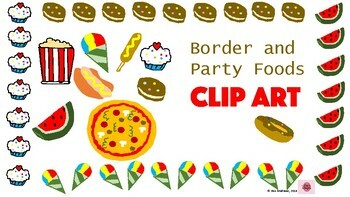 11 Slides of Party Foods and Border. 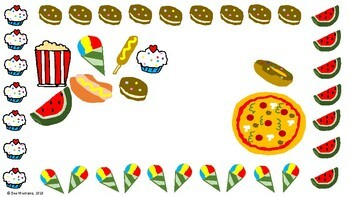 Cute Party Foods to be used in your classroom. 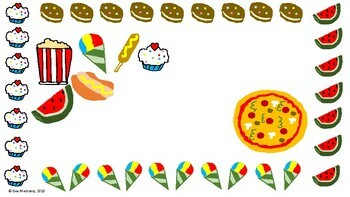 Party foods like popcorn, donuts, ice cream pie, snow cone, pizza, watermelon, corn dog, and cupcake. 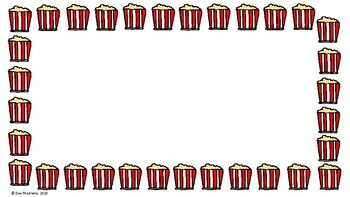 FOR CLASSROOM USE ONLY PLEASE, NO SHARING.